We like our community, families and clients. So what better way to show it then manufacturing our products in a better way. We hand craft our composites using only zero VOC epoxy resins. 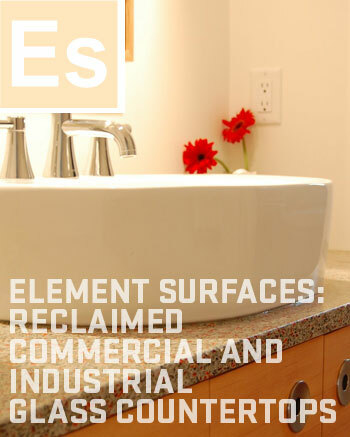 Different proprietary formulations are used for each application, but our resins have one thing in common – they are all VOC free, and do not off-gas any nasty chemical byproducts before, during, or after the creation of each countertop panel. Our premium resin systems allow us to make countertops that are stronger, more durable and more earth friendly than composites made with polyester resin. Manufacturing work like ours is very messy and highlights another important reason we use epoxies – clean up at the end of the day requires nothing more than household vinegar. We may smell a little like pickles when we’re all done, but we prefer that for us and our families, and anyone else that visits our facility, to dangerous solvents and other chemicals. family and friends, neighborhoods, artists, businesses, and eco-minded networks. Our impact is local and global.